Electrolyte density by 30 °C : 1,29 ± 0,01 kg/l. Weight tolerance is ± 5 %. 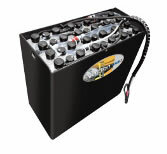 Cells from 7 to 10 EPzS types are available with 2 poles. For 4 poles, please specify with your order. 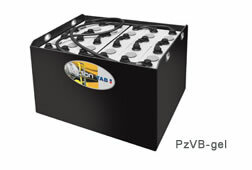 12 EPzS, 10/55 and 10/590 EPzS cells are available with 4 poles only. Cells from 9−11 PzB types are available with 4 poles only. 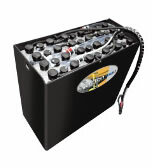 Maintenance free TAB Gel batteries are new high sophisticated traction batteries in the family of TAB motive power products. 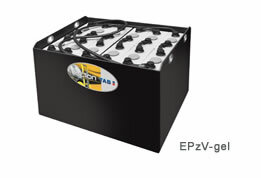 Sealed TAB Gel batteries are produced in VRGLA Gel technology (Valve Regulated Lead Acid batteries with electrolyte in the form of gel) according to EN 60254-2 standard.